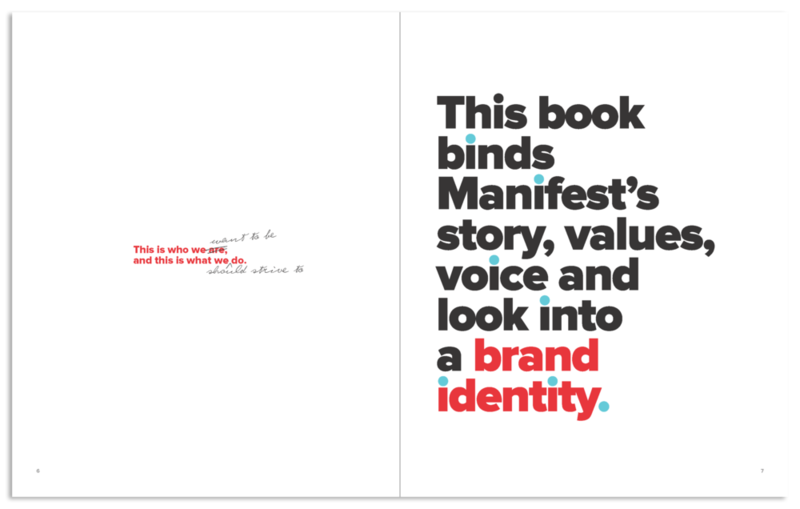 Manifest underwent a merger and rebranding, so we wanted to update our identity. We translated our story, values and voice into a simple and flexible identity that seperated us from the competition. The foundational piece of our identity is our brand book. A document that establishes who we are, provides guidance & assets for tone and look, sets internal principles & culture while also serving as an external marketing piece.